How many times have your teachers or editors told you that every word counts? Now, it turns out that every character you send counts, too. In fact, it turns out that the best way to punctuate a text message may be by not punctuating it at all: Researchers at Binghampton University have found that ending your text with a period — full stop — may make you seem more insincere. "We became intrigued with the idea of looking at text messages and asking if the way that people understand text messages might be different than the way we understand more traditional forms of print, of writing," Cecilia Klin, lead researcher on the study, tells NPR&apos;s Michel Martin. So, they conducted research on 126 undergraduate students, showing them various exchanges as either text messages or hand written notes, and studied the students&apos; reactions. "Our sense was, is that because [text messages] were informal and had a chatty kind of feeling to them, that a period may have seemed stuffy, too formal, in that context," Klin says. "Therefore, it gave it a feeling of being, you know, less sincere or in some ways stiffer, not genuine." Well, just in terms of caution of our conclusions, you know, our main conclusion was really that there is something about punctuation that seems to be used and understood in a different way than text messages, more than sort of the specific conclusion about the period and sincerity. So it was based to begin with on a hunch that it&apos;s easy to read in hostility or lack of sincerity. And our sense was that overpunctuating was one of the ways you could kind of zing people when you&apos;re writing a text message. Clearly it&apos;s reading, but socially, in terms of the interpersonal exchange, [texting] has a real conversational feel to it. And we know that in conversations, a lot of our meaning is not just the meaning of the words we&apos;re using, right? We have all these nonverbal kinds of cues we can use, and that&apos;s really a lot of the way we convey mood, emotion, emphasis. But we don&apos;t have those when we&apos;re texting. 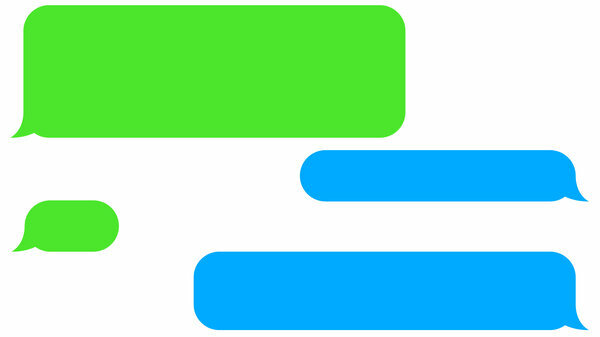 So, if texting is sort of conversational, our question was, well, what do we do instead? This was a very modest study. It was the first real exploratory study with one kind of text, one kind of subject. You know, does age make a difference? It&apos;s a question a few people have asked. I think it&apos;s an interesting one. I think it&apos;s very much what our kindergarten teachers told us, right? Be careful with your words. ... I think that our words convey all kinds of things. Texting being a relatively new medium, I think we&apos;re just starting to learn what kinds of cues people are picking up on. So, I think the bottom line is we need to be careful with what we say to each other. We need to be kind to each other.